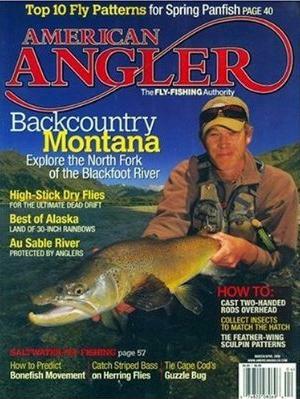 American Angler magazine is the Magazine of Fly Fishing and Fly Tying. American Angler magazine provides expert advice and practical information about fly fishing techniques, fly tying tips, entomology, conservation and equipment. American Angler magazine features cover both destinations and home waters. If you want complete information on fly fishing for trout, salmon, steelhead and other fish, as well as practical tips on the tactics, techniques, tackle and flies that will bring greater success and more enjoyment from your time on stream and at the tying vise, American Angler magazine is the magazine for you!